Bat in the Attic: So now that the Swords & Wizardry Kickstarter is done. So now that the Swords & Wizardry Kickstarter is done. 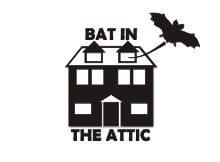 In celebration of the recently concluded Swords & Wizardry Kickstarter here is a potporri of Bat in the Attic material you can use. Blackmarsh a setting which works pretty much with any Older Edition and the PDF is free so you get going right away for your campaigns if you don't have something already. The book is $7 the PDF is free to download and to reuse for your own projects. So that should be enough to get folks started on their Swords & Wizardry campaigns. Just downloaded the Fantasy Demographics. Looks pretty cool and easy to use. I like the simple division = percent chance. Thanks.